Home staging is a significant, yet undervalued, field in the architecture and real estate sector. It involves the preparation of a home for sale in the marketplace, making it most appealing to the biggest number of potential buyers. This may seem like a trivial task, but you will be surprised by what can be achieved with a good eye and the right amount of styling. Today we set out to give you a great example of what talented home stagers can accomplish, with a before and after ideabook of the process. Join us to take a look at three spaces in an apartment home which had not been structurally altered in any way, or even truly changed in terms of furniture, but which now look like entirely new areas. So, here is our first image to see what the process of home staging entails. 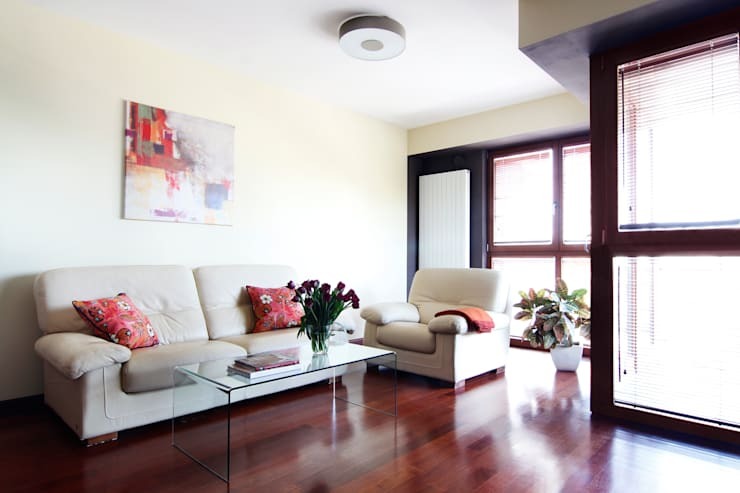 Many might think that their home simply needs a good spring clean to get it ready for sale and inspection, but there is a lot more you can do to make your apartment more appealing and boost your asking price. 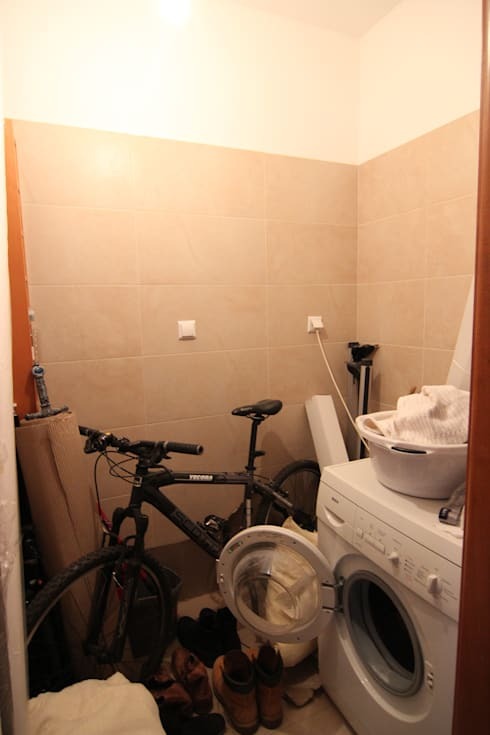 Here we have a washing room, which is a great facility to have in an apartment, but this one looks crowded and unattractive. You may very well feel entirely discouraged to do the washing if you have to do it in here! Not only is the room filled with disorganised items related to the activity of laundry, but also with completely unrelated items. What a difference! 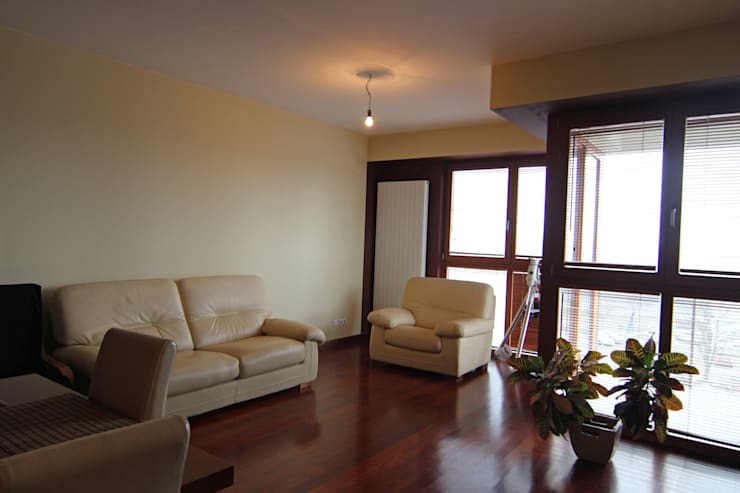 Better Home, the professionals involved with this project, are based in Warsaw and have an extensive portfolio in the business of home staging. 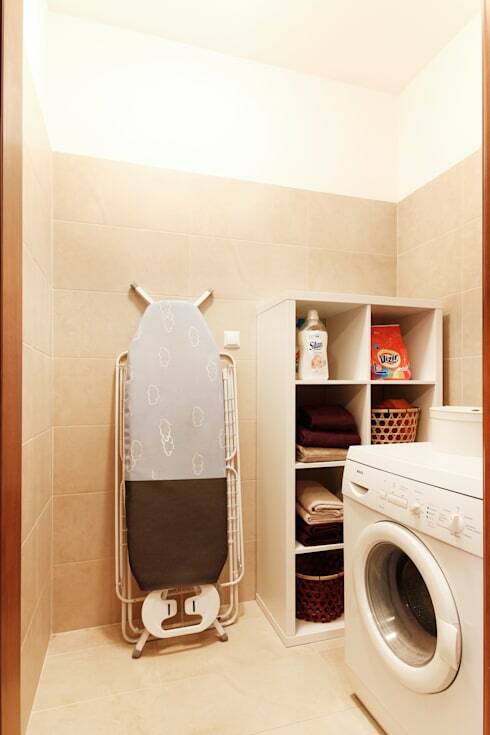 Here, we can see that some careful consideration and planning of the space on their part let to the simple, yet very effective, transformation of this little laundry room. Firstly, all items that have no utility in the room had been removed, and storage shelf added to make the space more functional and easier on the eye. Next up, we have the living room of this apartment under view. Before the home stagers intervened, this space seemed very dull and unimaginative. The beige walls do not suit the white ceiling, and natural light coming in through the large glass windows is not optimised. Not to mention the sad and solitary light bulb in the middle of the ceiling! This is by no means effective design, and we're sure there's a lot more to be achieved in this room. The staged living room looks like a whole new place. We're not entirely sure we're even in the same apartment! Upon closer inspection, however, we can see that it is indeed the same area, and that there had been only a few alterations. The changes may be few, but the difference is immense. Firstly, the light scheme has been optimised, allowing a stronger current of natural light to fill the room, and changing the central light fixture to be more diffuse and in a better style. The addition of simple elements, like a tasteful artwork on the wall, some colourful pillows, a glass coffee table, and fresh flowers, transports the room into a higher class of style. 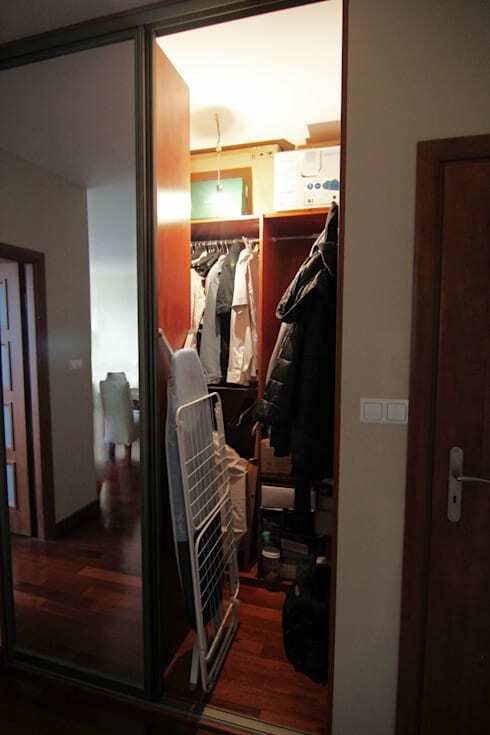 Opening this wardrobe in the apartment before the stagers intervened, may have caused you a great shock, if not serious injury? The space is terribly utilised, once again containing an inordinate amount of inappropriate objects for the space. We can also, once again, see a poor choice of lighting in this area, which makes the area look even darker and more depressing. Who thought this was even possible?! Now, isn't his better? Sometimes you simply need a fresh eye to see how you can better organise and arrange an area, and home stagers are pros at doing this! Besides the organisation of the closet space in this wardrobe, we can also see much better lighting, which may have been achieved simply by changing the power of the light bulb and adding a more appropriate light shade. What we've certainly learnt here, is that the power of appropriate lighting is immense! So, if you're getting your apartment ready for sale, definitely enlist the help of a home stager. You can get the process started, however, giving the home a decent clean, and we're here to help with these: 17 smart, easy and affordable tricks to help you do just that. Would you hire a home stager to assist you in getting your home ready for sale? We'd love to hear from you!